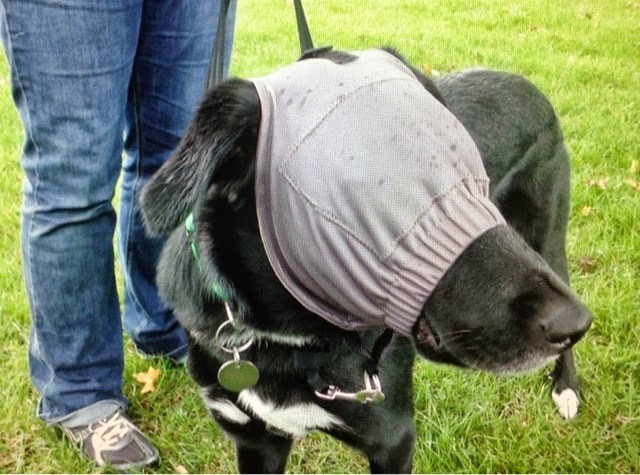 We have cause to thank the great Toni Shelbourne again for her time, filming some more articles around using TTouch for rehabilitation, and in particular talking to us about the 'Calming Cap' - a rather strange looking piece of equipment that can be helpful for dogs reactive to visual stimuli. The cap doesn't stop the dog from being able to see, but reduces the intensity of the visual environment around it, allowing the dog to cope better. We also filmed very interesting articles about "Conversations in the Park" (both canine and human!) and behaviour around livestock. We look forward to bringing you these articles soon.